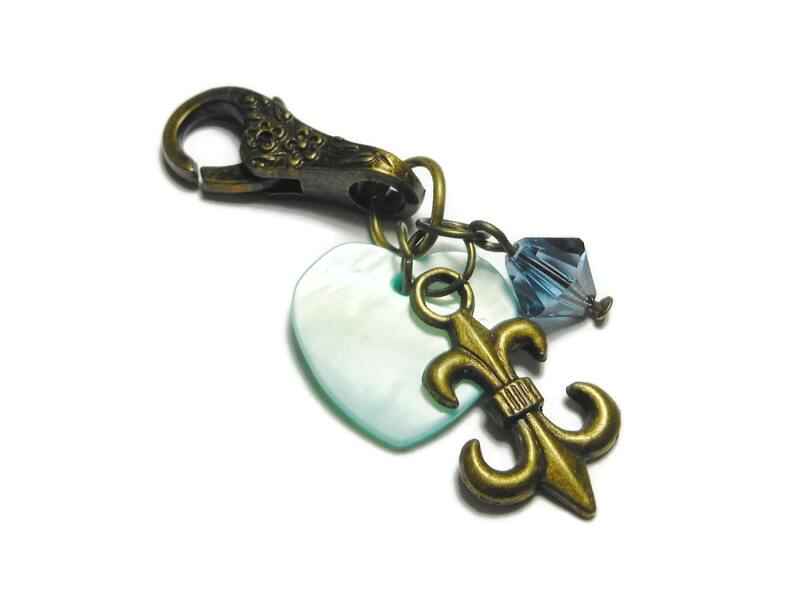 Fleur-de-lis keychain, zipper pull, purse charm, antiqued bronze with lobster clasp, Swarovski crystal and mother of pearl heart (MOP). 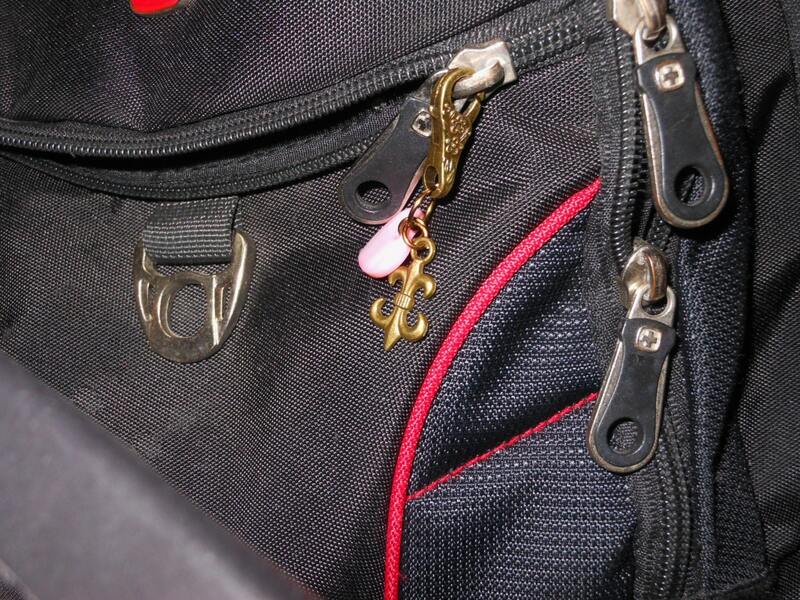 Put it on your purse, your sweater or backpack, or add it to your keychain. 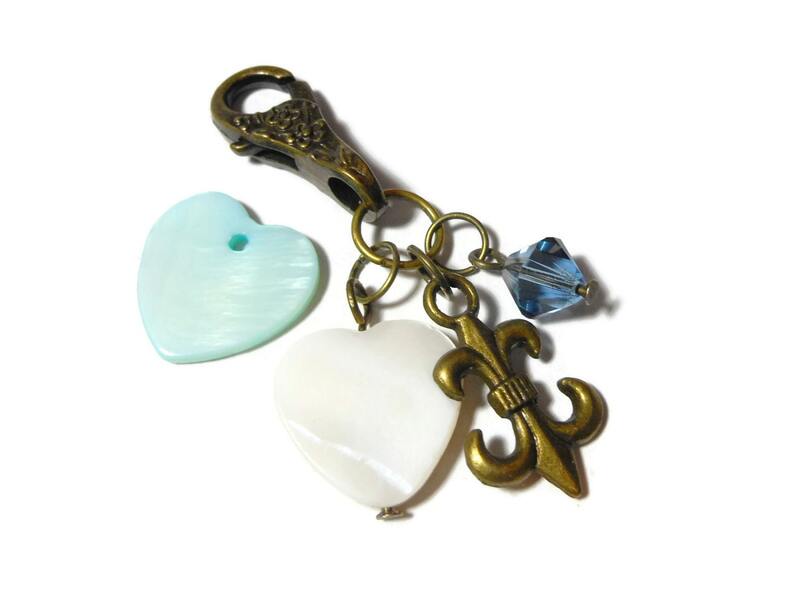 Choice of white or blue heart. The crystal will be blue, not red as seen in some photos. Comes in a small blue or black velvet pouch. 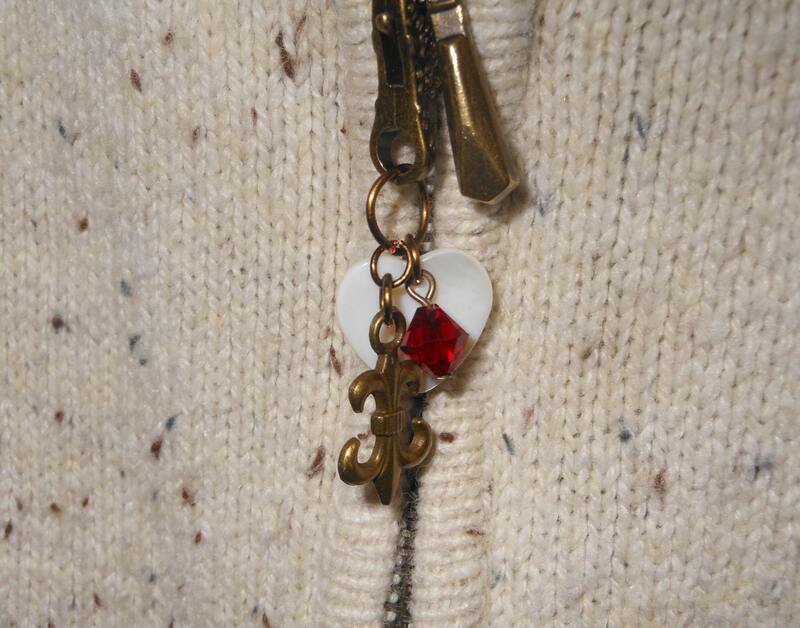 The clasp is 1" (2.5 cm) in length and the attached charms bring the entire length to 2 1/4" (5.7 cm). 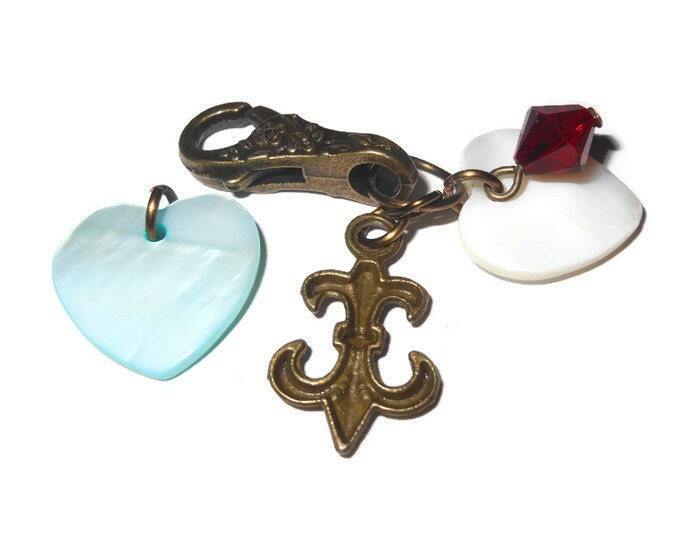 The hearts are made of natural stone and shell and as such will have variations in the coloring and will have natural inclusions. item made just for me, 💕 it!